Nevertheless, those born in 1953, along with another 4,098,000 born in 1963, will have had to accomplish one heck of a lot in their 50 or 60 years to measure up to all the accolades and accomplishments in the Corvette’s long history. For starters, the two seat American sports car has always been a front-engine, rear wheel drive vehicle with big muscles and a long drive train that defined its iconic countenance. Secondly, the Corvette featured a lightweight body long before it came into vogue to boost fuel economy. The powerful and highly prized vehicle started with a fiberglass body, eventually progressing all the way to the carbon fiber shell it bears today. The small-block V8 has been the heart and soul of Corvette models for 57 of it 60 years. Many of those boomers have needed stints, bypasses or pacemakers across the same time span – not to imply a Corvette engine never needed overhauling. The classic car has always been a test model for new Chevrolet technology, which once proven, migrates to the rest of the brand’s lineup. Throughout its long history, the Corvette has been designed and bred for the racetrack, its performance and technology resulting from the hard lessons learned lap after lap. The development process created by Zora Arkus-Duntov, Corvette’s first chief engineer, was informed both on and off the track, culminating in the factory-backed Corvette Racing program’s 2012 American Le Mans Series championship in the production-based GT class. A star of both track and the silver screen, its legendary appeal has been documented in such TV programs as Route 66 (1960-64) and a lead role in Corvette Summer, alongside Mark Hamill (1978) along with numerous roll-ons and feature appearances since. Corvette lives large in songs, artwork and video games, including the current edition of Gran Turismo, in which the seventh-generation phenotype was seen in full camouflage. You can even buy a Corvette-themed kid’s bed from Step2 with working headlights. The elegance and style of the Corvette has changed over the years, but the first generation established many enduring characteristics, including its long hood to length proportions, dual round tail lamps and the side-by-side cockpit interior. In its first generation, the Corvette followed the tradition of all true sports cars, only being available as a convertible. Since they were built on a modified Chevrolet passenger-car architecture with a live rear axle, Corvette acolytes called them solid axle models. First powered by the formidable inline-six, known as the Blue Flame for the first two model years, the Small Block V-8 was added during the third year of production. The second-generation Corvette was known far and wide as the Sting Ray, following a race-bred concept car design, and evolving to the next level in design, engineering technology and performance. The second-generation was redesigned from scratch, featuring its own dedicated architecture with a lower center of gravity and lower, sportier seating position. A new independent rear suspension dramatically improved the driving dynamics of the car, bringing it global attention and acclaim. The Second Generation Corvette also introduced the split rear window, a feature rarely seen since the 1930s. The 1963 Corvette is frequently referred to as one of the most beautiful and iconic in automotive history. The second generation was also the first to feature retractable headlamps, a Corvette signature until very recently. Adding a coupe model more or less doubled sales of the Corvette over the next few years, providing a practical option for northern owners, as a new frame and independent suspension made the Corvette a world-class sports car. The third generation was the model’s longest running, while the car changed to reflect the changing industry. Stingray became one word in 1968, and aficionados of the model lovingly call them sharks, in acknowledgment of their aggressive styling. Recognizable for their blistered fender design and long hood, the third generation model continued the traditions of retractable headlamps and dual lens tail lamps. The C3 marked a transitional period for performance as 435-horsepower big-block engines became popular early in the generation, but as the industry adapted to unleaded fuel, stricter emissions standards and changing attitudes, the Corvette powerplant’s output was reined in for a few years. Notably by 1975, the standard 350 cubic inch small-block developed only 165 horsepower – 20 percent less than 1955’s 195-hp engine. With less horsepower to boast of, engineers enhanced the car’s technology and advanced materials, incorporating composite body materials. Transitioning from to sheet-molded compounds (SMC), enabling smoother body panels with less surface finishing required before painting. Since 1973, all Corvettes have used such panels, though they now feature less fiberglass and more lightweight plastics, providing more elasticity and preventing cracks. The third generation Corvette was the most popular ever, with 58,307 sold during 1979, which stands as Corvette’s highest annual sales to this day. The fourth-generation Corvette epitomized the 1980s with significant technological advancements in design and fabrication processes, as well as the addition of new electronically controlled performance and safety features. Interior styling cues included a new gauge cluster with digital readouts, incorporating the move towards the high-tech era. The C4 kept its basic body shape but added a new glass hatchback to enhance cargo area access. Technological advancements included a new strengthened frame, with a new sleeker and more aerodynamic body, achieving a 0.34 coefficient of drag – close to a 25 percent improvement from the previous model. In 1983 only 44 prototypes were built and none were offered for sale. Today the one remaining 1983 model is on display at the National Corvette Museum, in Bowling Green, KY. The engine got Tuned Port Injection in 1985, marking the modern era of fuel injection and making Corvette’s reputation as a high-performance vehicle with relatively good fuel economy. The C5 generation marked a rare event in the industry at the time of its introduction by dropping 100 pounds of weight while presenting a larger overall impression. The 1997 Corvette was bigger than the 1996 model yet weighed almost 100 pounds less. Today such feats are more common as automakers turn to lightweight materials to boost fuel economy. Several factors helped to lessen curb weight, including SMC body panels with more plastic than ever before. The fifth generation Corvette also sported an all-new chassis, with stout rails and hydroformed sections to add strength without weight. The floorboard sandwiched stronger materials with featherweight balsa wood to lessen overall mass. A new incarnation of the third generation’s small-block engine also helped to save weight and enhance the vehicle’s balance, thanks to a lightweight aluminum block and heads, plus a composite intake manifold weighing less than 10 pounds. At this time, Corvette fabrication switched to an environmentally friendly waterborne paint system, which cut solvents used in the process to roughly 10 percent. Today, waterborne paint systems are standard among automakers. The C6 Corvette was the first to not raise its headlamps since 1962. Corvette moved to visible headlamps to further reduce weight, complexity and drag, but the traditions of dual-round tail lamps and a cockpit-style interior persisted. The C6 Corvette was a lot like the previous model in structure, but added safety features and a few pounds, still keeping the car’s weight just 20 pounds over the 1997 model, despite the new safety systems. Nevertheless, the 2006 introduction of the Z06 represented an unprecedented commitment to the Corvette’s performance technology and dedication to lightweight materials. It featured a highly aluminum-based chassis and carbon fiber body panels resulting in a curb weight less than 3,200 pounds – providing a power-to-weight ratio hard to match by even exotic cars costing much, much more. Though it looked like the steel chassis of the base model Corvette, the Z06’s aluminum frame weighed nearly one-third less. In addition, the aluminum frame incorporates a unique fabrication process using inert gas and laser welding to reinforce self-piercing rivets. The engine cradle is made of magnesium, are as some other suspension parts for weight reduction. On the exterior, the Z06 used carbon fiber panels for the front fenders, front wheelhouses and rear fenders. The 2009 Corvette ZR1 incorporates the same chassis structure and even more carbon fiber parts, including the roof panel. The lightweight materials and advanced technologies used in these sixth generation vehicles blazed a trail for the seventh-generation Corvette, with an aluminum frame 60 percent stiffer than the Z06 or ZR1 frame. The C7 Corvette also builds on the advanced powertrain technology pioneered with previous models to help make it the most powerful standard Corvette ever, not to mention the most efficient. My fellow journalists on Torque News have plenty to tell you about the 2014 Corvette Stingray and we hope you will seek out their posts. Meanwhile, as they reach the daunting milestone of 60, like the Chevrolet Corvette, many Baby Boomers are hoping they can remain as up to date as this iconic automobile. Long live the American sports car! 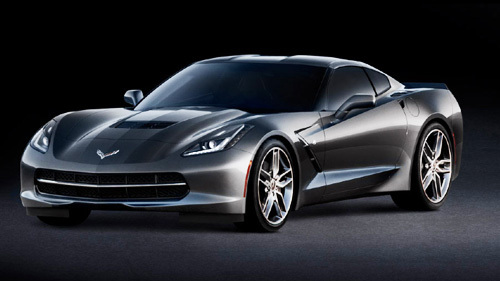 We salute the 2014 Chevrolet Corvette Stingray and it’s long résumé of accomplishments and accolades.